“Cabin fever” as it is commonly defined is the nervousness and exasperation that results from not being able to leave your house for an extended period of time. It happens in colder climes when snow piles up and in warmer ones during the rainy seasons. It happens to the parents of small children who feel it takes too much of an effort to leave the house and to people with agoraphobia or severe depression who are afraid of leaving the safety and familiar comforts of home. The ways to beat cabin fever fall into several categories—ways to make leaving the house easier, ways to entertain yourself at home while stuck inside, and ways to overcome your fears at leaving your sanctuary of home. When you have several young children, it can feel impossible to organize all of them to get yourselves out of the house. — Having set routines for your children can help. Waking up every morning on time and getting ready to face the day with getting dressed first thing (including shoes and socks) before breakfast alleviates some of the prep time needed to leave the house. –Keeping the diaper bags packed with essentials by preparing the night before can also help cut down on stress getting ready to leave. –Having a routine for leaving is good so that everyone knows what to do to get ready helps. Taking everyone to the bathroom before leaving also aids in keeping emergencies at bay. — Keeping strollers and car seats in the car at all times also helps alleviate stress of searching for them when the time comes. –And making sure a fun outside activity follows all the errands you need to run can help the children be more cooperative. If you’re truly stuck inside, having an array of activities on hand for children to do themselves can be a must. –My children and I had the “fun jar”—a glass jar with color-coded slips of paper containing fun activities. Inside activities were yellow; outside activities were green. –We drew items out twice a day, and if there was any argument about what the “fun jar” chose for us to do, everyone had to go to their rooms and play quietly alone until the next nap time was over. –Activities included costume/makeup sessions, reading books aloud, art with markers, sorting photographs, watching a new movie, playing with Legos, playing with dolls/action figures, anything I could think of that they enjoyed. –Avoid slipping into the zoned-out activities such as network TV, mindless internet surfing, and computer gaming. Make any such activity special by limiting its use by yourself and your children. People with agoraphobia and depression can also use some of these ideas to help themselves alleviate their suffering. –Having a set routine to do chores alternating with “reward” activities can help with motivation to do what needs to be done every day. –Such “reward” activities could be simple, such as a bubble bath in the middle of the day, a special cup of hot beverage of choice, or time spent with a favorite book. More elaborate “rewards” could be a specially prepared meal or a self-administered manicure/pedicure at home. –Making preparation to leave the house simple can dial down the stress of leaving home. Such activities could include getting dressed as soon as you awaken, having your spouse gas up the car before you leave, keeping all needed items by the door such as a purse, car keys, umbrellas, coats, etc. –Meditation or prayer before leaving can also keep your stress levels from rising. Pray for safe travel, think on a positive affirmation as you are conscious of your breath, and leave yourself time to make preparations deliberately to leave so as to avoid rushing. 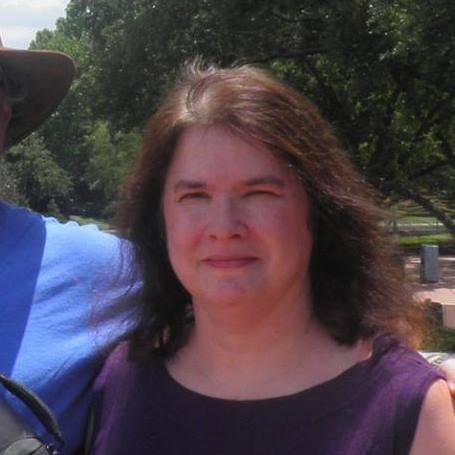 Julie Whitehead currently writes and blogs from Mississippi at her personal blog. She has been a university lecturer, a disability examiner, and a freelance writer. She carries a diagnosis of bipolar disorder and blogs to create awareness and help others understand the disease and its effects. You can follow Julie on Facebook, Twitter or her personal blog.